Ultrasonic Blind Cleaning and Carpet Cleaning Specialist! We are your local Iluka Carpet Cleaning business founded, owned, and operated by members of the same family. Since 2005 we have delivered excellent Steam Carpet Cleaning and Dry Carpet Cleaning same day services in Iluka and surrounding suburbs to both private and rental properties. Star Cleaning Solutions Carpet Cleaner Iluka specializing in Steam and Dry Carpet Cleaning is the professional, trained and qualified Carpet Cleaning company you can trust and rely on! With the use of the best eco friendly products and no harmful chemicals, and latest techniques we can deliver clean, sanitised carpets, rugs, mattresses, upholstery, tile & grout to you and your family in Iluka all year round. We also offer Blind Cleaning services in Iluka using the a powerful ultrasonic blind cleaner, the best modern method for venetian blind cleaning, vertical blind cleaning, and all types of blinds including timber. We will always make sure that your home or investment is well taken care of so call your local Iluka carpet cleaner any time for a friendly chat! Call Star Cleaning Solutions Carpet Cleaning Iluka to schedule Carpet Cleaning for your home or business in Iluka and nearby suburbs. We can usually provide same-day service but we encourage booking ahead to avoid disappointment. Take advantage of our offer and save $$$… 10% Off combining 2 or more services. Below is a complete list of the Carpet Cleaning Services we offer in Iluka. At Star Cleaning Solutions Carpet Cleaning Iluka 80% of calls come from referrals and returning satisfied customers….. word of mouth does not lie. Call your Professional Carpet Cleaner Iluka today! Our state-of-the-art modern equipment is Made In Europe and Australia by SteamVac, Duplex, Polivac, Rotowash, etc. We cover Iluka and most of Perth northern suburbs. STAR CLEANING SOLUTIONS.. 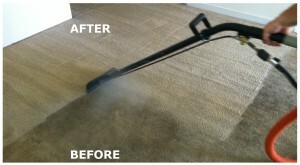 The Expert Carpet Cleaner Iluka! or in alternative use our contact form.